What role is technology playing in educating young people on health topics? What health topics do they seek? What are the pros and cons of people seeking health information through new technology and online channels? How can we use popular social media to reach young people with important & accurate health info? Google+ opportunities? Online games are popular; what issues matter most when developing games designed to improve health literacy? 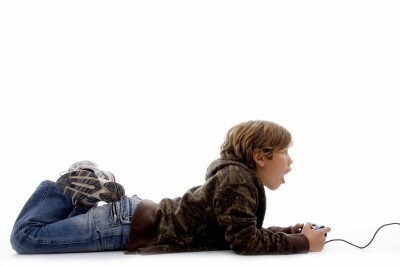 What kinds of health games have resonated with youth? Why? How do these games encourage behavior change in real life? The transcript of Tweets provided by Health Literacy Missouri, and organized by questions, is provided here. In this post, I’m just going to highlight some of the issues that struck me as particularly important. In order for kids to become involved in participatory health care (where their choices play an important role in their health care strategies), we have to let them control their learning strategies as well. In adult education, we always talk about allowing learners to pull what they need versus pushing data at them. The same holds true for kids. If we want them to be able to advocate for themselves as patients, we need to create inquiry-based learning experiences for them. That being said, kids have immediate health concerns that are not being met—concerns about weight, depression, bullying, sexuality, and for some, chronic illness. They are going online for sensitive information because they do not yet see their health care providers as resources. Like many adults, they are overwhelmed by the amount of information available online and the lack of plain language used to convey this information. The lack of credible information is even more problematic. There are some critical needs and opportunities here. Educators play an important role in helping kids develop digital literacy skills and should create opportunities to relate these skills to health information whenever possible. Community services like libraries can connect kids to health care information and, more importantly, to resources to help them develop research skills. Health care providers have an opportunity and responsibility to build trust with their younger patients and to actively engage them in their health care decisions. Families have opportunities to model the responsible use of social media and to help kids develop a questioning attitude. Online communities with youth mentors providing information vetted by clinicians can be a powerful way of reaching young adults (e.g., Inspire USA’s model for ReachOut.com). While technology is a critical component (we have to use the tools that kids use), health literacy solutions do not have to be extremely high tech (see, e.g., texting for sexual health advice: a resource for Toronto youth: http://ow.ly/5PQPb). Health games, designed well, can be a powerful way of reaching kids. We have to foster inquiry in a way that does not squelch the fun factor of games. Badges aren’t enough. Games that just foster awareness aren’t enough. Game designers need to pay attention to intrinsic motivation/stage of readiness for change (all without being heavy-handed). Games don’t have to be high tech to be fun and effective, but they do have to involve kids. If kids have ownership over the design of the game itself, it’s more likely to be effective. Designers should use tools and metaphors that are culturally relevant. I pointed to the example of the Project mGage games, Webquest 3.0, and youth-centered alternate reality games (ARG) as great starting points. In these types of games, kids are firmly in the driver’s seat as both creators and controllers of the game. These are games seated in imagination rather than in slick graphics and have the potential to reach across digital divides. The bottom line for me? We need interdisciplinary approaches (conversations including kids, health professionals, educators, game designers, librarians, web designers, user experience designers, learner experiences designers, etc) and a global perspective. Not an easy task, but in an age of social media, much more do-able.